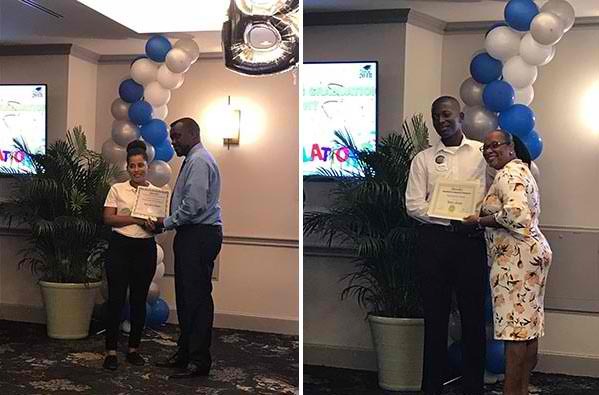 The Turks and Caicos Islands Tourist Board extends congratulations to the graduates of the 2018 Summer Student Program at Beaches Turks and Caicos Resort Villages and Spa which culminated with a graduation ceremony on August 24, 2018. Eighty one students graduated and received certificates recognizing the successful completion of the six week program. The summer internship program encompassed high school, college and university students, from national and international institutions, benefiting from work experience in departments such as food and beverage, watersports and front office. The graduation ceremony was attended by dignitaries and government officials including Premier Hon. Sharlene Cartwright-Robinson and Hon. Vaden Delroy Williams Minister of Home Affairs, Transportation and Communication who expressed congratulatory remarks to the interns for their work and wished them further success in their future endeavors. Director of Tourism Ramon Andrews also attended the graduation ceremony and used the opportunity to laud the accomplishments of the students. Mr. Andrews stated, “I am extremely proud of our students and offer my congratulations on the successful completion of their summer internship. We have been able to gain insight into their valuable experience over the past six weeks and I am happy that our students were able to acquire real-world experience by working in the various departments at Beaches Turks and Caicos. I am hopeful that their experiences at Beaches Turks and Caicos has given them practical knowledge and skills that they will use for years to come. I would also like to express appreciation to Beaches Turks and Caicos for providing hands-on learning and training opportunities for our students and exposing them to the many positions available in the hotel industry. Their consistency in this regard is admirable and I hope that it will inspire other properties to offer similar opportunities”. The Turks and Caicos Tourist Board encourages its tourism partners to invest in the development of future hospitality workers by offering the chance to develop important operational skills required to succeed along with exposure to the careers available in the industry. Hon. Vaden Delroy Williams Minister of Home Affairs, Transportation and Communication; Donjae Lewis, Quality Assurance Officer at Turks and Caicos Tourist Board; Premier Hon. 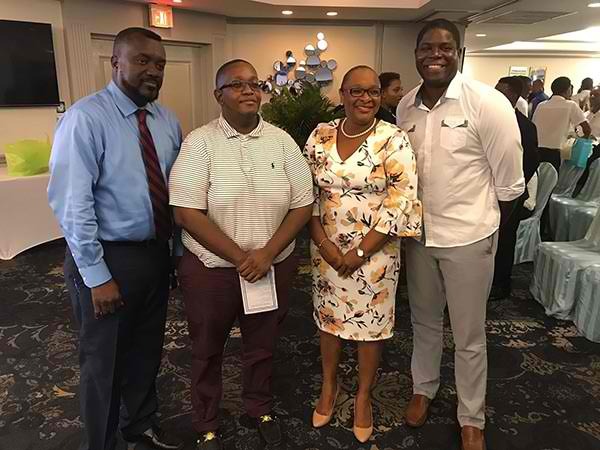 Sharlene Cartwright-Robinson; and Ramon Andrews, Director of Tourism show support for 2018 Summer Student graduates at the ceremony held at Beaches Turks and Caicos Resort Villages and Spa. Left Photo: Hon. Vaden Delroy Williams Minister of Home Affairs, Transportation and Communication presents a graduate with certificate; Right Photo: Premier Hon. Sharlene Cartwright-Robinson presents a graduate with certificate at the ceremony marking the end of the 2018 Summer Student Program.